By now, we hope that you've had a chance to check out our terrific new blog (which is just part of our newly redesigned website). Over the next week, we'll be transitioning over completely from this old site, and redirecting all links and content there. Our RSS feed will be moving over as well, so we encourage you to resubscribe if you stop getting updates from us. A reader asks: Where can I find ceramic vase featured in the September issue that looked like a piece of birch? Contributing Editor Carl Hoffman is attempting to find the slowest, most dangerous ways of traveling, and we think he just might be insane. Contributing Editor Jim Conaway reviews Pompeii's relics and the works of Dutch Master Jan Leivens. This Jensses find out what makes the Bhutanese, or Drukpa (people from the Land of the Thunder Dragon), so happy anyway? Thanks for reading, and please let us know if you encounter and problems with the new site. If you're not in a cave somewhere, you're probably already fully aware that today is election day in the U.S., and we encourage all of you registered voters to go out and perform your civic duty. As part of our election coverage, we're continuing the conversation we started yesterday with our readers, and presenting the rest of contributing editor Christoper Elliott's "Dear Mr. President..." essay from our November/December issue of Traveler. In the essay, Elliott outlined a series of travel-related items that are likely to be on the new president's agenda, and we're taking this opportunity to let our readers discuss how they'd like to see them sorted out. The post-9/11 recovery made by the domestic airline industry was short-lived. High energy prices have pushed a poorly managed industry to the brink of yet another wave of bankruptcies. Passengers now feel the IRS offers better customer service; routes are being slashed; additional fees are now being tacked on for everything from bags to pillows. Some people are talking re-regulation. Should the airlines be held accountable for their customer service shortcomings with the passing of a passengers' bill of rights? Or should the next President focus on the health of the airline industry, ensuring that government policies allow air carriers an unobstructed path to profitability? And what about the nation's antiquated air-traffic control system? Should making the necessary upgrades be a top priority? Since the 2004 election, the government has imposed a series of new requirements for air travelers, including a ban on liquids and gels, plus new passport and ID rules - causing many passengers to opt to stay home. The travel industry is pushing the government to reduce the hassle factor at borders and checkpoints, and the Travel Industry Association of America has launched an ad campaign to persuade candidates to address these problems. Some changes are on the horizon, including more efficient airport screening and the loosening of visa requirements for some visitors. What is the appropriate balance between security and unimpeded travel? Should visitors to the United States be fingerprinted and eye-scanned? Do liquid-and-gel bans at airports work, or are they nothing more than "window-dressing," meant to make passengers feel safer? Do "no-fly" and watch lists protect travelers-or needlessly detain thousands of innocent people? In our November/December issue of Traveler, contributing editor Christopher Elliott opens our Smart Traveler section with an essay outlining some travel-related considerations our next president should keep in mind once he enters the Oval Office. In the piece, we encouraged our readers to share their responses with us online, so now we're divvying up his major points, and posing the questions to you directly. How do you define the issues of the day and how would you address them? Check back for more excerpts from the essay. A gallon of regular unleaded fuel averaged about $4 last summer, about $1 more than a year ago. Airline fuel prices have similarly skyrocketed. And while energy prices eased by autumn, it wasn't enough to stop a lot of vacations from turning into staycations. Clearly there is a need for a comprehensive energy policy that lessens the country's dependence on fossil fuels, but what does that mean? Offshore drilling? Tax incentives for companies investing in wind power and nuclear energy? What do you think? The greenback has lost strength against currencies used in popular vacation destinations, such as Europe. And while the dollar has rebounded somewhat, its diminished value still makes overseas travel prohibitively pricey for many. The weak dollar is likely to be on the new President's agenda for reasons that have little to do with travel, but it's obvious that a stronger economy, or even the prospect of one, would boost the dollar. How best to accomplish that? Should the U.S. withdraw from the expensive war in Iraq? Is there another way to reduce both the budget and the trade deficit? How would you address the concerns of travelers? Email us or share your opinions in comments below. 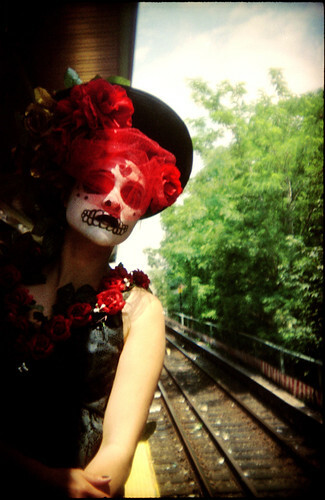 Meg Weaver, our senior researcher and resident expert on all things español, gives us the deets on the Day of the Dead. As the macabre spectacle that is Halloween wraps itself up, it's time to celebrate El Día de los Muertos (Day of the Dead) this November 1st and 2nd. One of Mexico's most important holidays, the Day of the Dead originates in pre-Hispanic indigenous traditions spanning at least 2,500 years. Unlike Halloween's focus on the frightening and scary, Day of the Dead is almost like a Mexican Memorial Day during which families gather to remember their recently departed and assemble an ofrenda (offering) in the form of an altar, filled with the favorite foods and drinks of the deceased, wax candles to represent their soul, water to quench their thirst, and papel picado of various vibrant colors. Many families head to the cemetery on the Day of the Dead on November 1st to welcome deceased children back from Mictlan (land of the dead) and on November 2nd to commune with deceased adults also returning, for one day, from Mictlan. During this time, the cemetery takes on an almost festive air. Nobel Prize-winning Mexican writer and poet Octavio Paz quipped that Mexicans don't mind getting up close and personal with death; in fact, the Mexican "...chases after it [death], mocks it, courts it, hugs it, sleeps with it; it is his favorite plaything and his most lasting love." Ironically, the Day of the Dead in Mexico is a celebration of life, an acknowledgement of death as a fact, and a culmination, of life. Today at Intelligent Travel, we're bringing you a slew of local haunts in celebration of Halloween. Ghosts, spirits, and other oddities can be found anywhere you're traveling, and these stories can often help to fill in the history of a place (all while giving you the willies). For example, I'm from Long Island, New York, home of the famed Amityville Horror house. But I was surprised to find out that according to some local paranormal "experts," one of my favorite area attractions is apparently haunted as well. 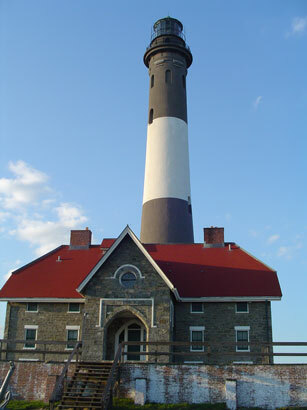 The iconic Fire Island Lighthouse is said to be haunted by the ghost of a former keeper who hung himself in the building. People have reported that "heavy doors open and close by themselves, strange laughing and banging sounds seem to come from inside, and have experienced eerie feelings, as well as the appearance of a shadowy figure in the caretaker's house." O.K., I'm officially creeped out. What are your own local haunts? Share your favorite spooky travel tales in the comments, below. Rainer Jenss and his family are currently on an around-the-world journey, and they're blogging about their experiences here at Intelligent Travel. Keep up with the Jensses by bookmarking their posts, and follow the boys' Global Bros blog at National Geographic Kids. Land of the Thunder Dragon . . . Kingdom in the Clouds . . . Shangri La . . . Himalayas . . . Gross National Happiness. Read anything about the Kingdom of Bhutan, and these will likely be among the buzzwords you'll come across. They're what piqued my curiosity a few years ago while researching possible adventure vacation options for a friend and I. Investigating a little further, I discovered that this remote country nestled between Tibet and India only allows about 20,000 foreign visitors a year, perfect for someone like me who was looking for something unspoiled and exotic. And after being exposed to Buddhism's basic principles through years of practicing yoga, I could further explore the religion in this remote part of the world. When our family's around-the-world trip became a reality I had to inform my trusted travel companion that the "boys only" trek to Bhutan would have to wait. 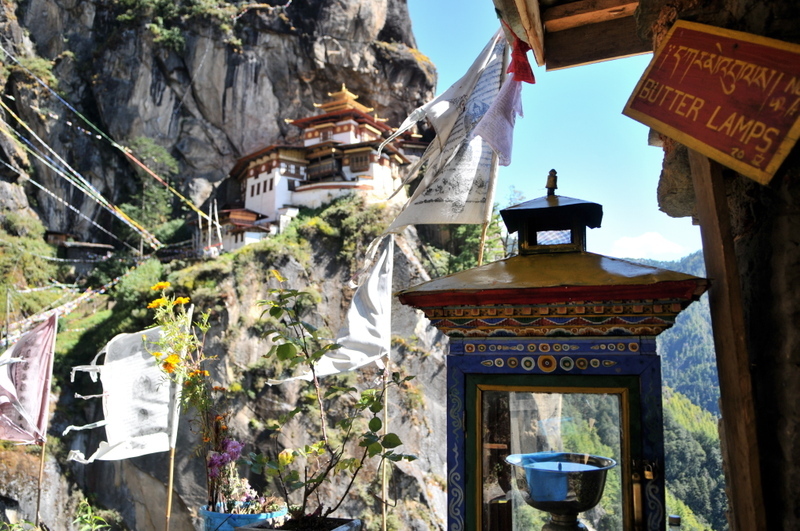 But as Carol and I started mapping out our route through Asia, I couldn't resist tossing up Bhutan as an option. Was it a risk to take Tyler and Stefan to such an isolated country in a region we knew little about? We noticed that National Geographic Expeditions offered tours there and asked if Bhutan was a good family-friendly destination. They responded with a resounding 'yes,' and with their enthusiastic endorsement, we made it work, anticipating that this might just be the highlight of the trip. If there were any trepidations about how we would handle Bhutan's harsh terrain, spicy food, or unique culture, we figured the six weeks spent in Asia leading up to the trip would have us prepared. The kids seemed thrilled to be going on another tour because of the positive experience they had in China, so when we met up with the group in Bangkok, I wasn't surprised to see Tyler and Stefan immediately gravitate to the trip's expert, Richard Whitecross. Senior Researcher Meg Weaver advises you to mark your calendars for an art-filled night in Argentina. 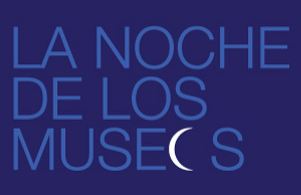 If you happen to be in Buenos Aires on Saturday, November 15th, basking in the spring sunshine, don't miss the city's fifth annual Noche de los Museos (Night of the Museums). On this special night, state and national museums, universities, and private galleries open their doors for free from 7 p.m. to 2 a.m. A city-wide artistic block party ensues, with films and performances of jazz, tango, folk, techno, choral, and rock music throughout the city's many artistic venues. Last year 102 institutions participated and 414,000 people attended. Many train and minibus lines operate free of charge, too, carting culture lovers from venue to venue. Expat Irish blogger, Paddy in BA, says he felt a bit like Ben Stiller's security guard character in the 2006 film Night at the Museum while strolling through the museums after dark (without T. Rex skeletons chasing him, of course). And the event reminded me of one of my favorite books as a kid, The Mixed-Up Files of Mrs. Basil E. Frankweiler, in which a brother and sister run away to New York's Metropolitan Museum of Art and explore it at night. Paddy in BA adds that Noche de los Museos is not all high-brow fun, as it ends with a smashing party down near Puerto Madero and runs into the wee hours. Last year's closing party featured Argentine-American rocker Kevin Johansen & The Nada playing in front of 30,000 people from midnight 'til dawn. Have you been to BA's Noche de los Museos? Are there similar city-wide cultural festivals in cities closer to home? Fill us in on this awesome idea. Wonder if we can get something similar started here in DC. . .
See this post and others at our new website, www.intelligenttravelblog.com. Snow and airports typically aren't friends. Delays, cranky customers, and even crankier ticket agents are in the forecast at the check-in line after Mother Nature dumps a load of the white stuff. But one airport in Japan is extending an eco-friendly hand to its usual nemesis. 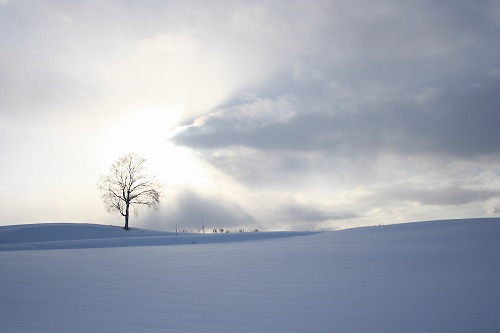 Beginning in 2010, the New Chitose Airport in Hokkaido, Japan, will start collecting some of its 20-30 feet of annual snowfall and use it to help cool the building during summer months. By using heat-insulating materials, an estimated 45 percent of the snow could be preserved. The remaining melted snow will be put to use to chill the airport's liquid cooling system. The island has been experimenting with such cooling techniques since 1998. The northernmost and least-developed of Japan's islands, Hokkaido is known for its brutal winters and splendid skiing conditions. Capital city Sapporo holds an annual Snow Festival in February, one of the largest winter events in Japan. By taking advantage of one of the island's most abundant natural resource, the New Chitose airport will reduce its CO2 emissions by 2,100 tons per year. Read More: IT rounded up a host of green airports worldwide last month, including Boston's Logan International Airport's wind energy initiative, which helped it earn the distinction of the first LEED-certified airport terminal in the U.S. Imagine for a moment that you are a Maasai tribesman in Kenya and your entire livelihood is invested in your livestock. One day, a lion attacks one of your cows, killing it. Enraged, you set about to seek justice and protect your cattle from further harm. But justice today is not the same as it once was. The Maasai once used spears alone to take down lions, but now, with the rise of poisonous insecticides, it's simple for you to spread some poison on the carcass while the lion has wandered away. When the lion returns with its cubs, it ingests the poison. But so does the rest of the pride. In the span of a few hours, an entire family of lions is wiped out. Your cattle are safe...for now. But there are side effects: The region's economy, dependent on tourism, becomes unstable, and the fragile ecosystem of East Africa is shattered. This was the reality facing Tom Hill, who began his work on lion conservation efforts in the Kenyan bush 16 years ago. As a trustee of the Maasailand Preservation Trust (known as the Ol Donyo Wuas Trust in Kenya), Hill has worked on the Mbirikani Group Ranch; and he has watched the population of lions deteriorate in the Amboseli-Tsavo Ecosystem (Located at the base of Mt. Kilimanjaro). The arrival of poison in the region has only hastened the problem. In 2003, he says, "We lost eight lions in one afternoon. It was the last great pride of the Chyulu Hills." It was shortly after losing that pride that Hill and his co-founder, Richard Bonham, began speaking with the Maasai community about creating a better way to account for their losses. The MPT had long been established in the region and had relationships with tribal elders. But, Hill says, they needed to find a reason to make it worthwhile for the 10,000 people in the community to want to live alongside such beasts. "We realized that if we didn’t do something significant the lion population was going to go extinct," he says. "So we sat under trees with elders for months talking about life for the Maasai and the nature of conflict with wildlife. We tried to see how could we develop a solution that could stabilize the predator population, and save them from extinction, while saving the quality of life for the people." It was out of those meetings that they developed a novel system called the Mbirikani Predator Compensation Fund. 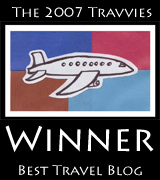 Check out our new blog at: blogs.nationalgeographic.com/blogs/intelligenttravel! Cities across the U.S. are making a fashion statement that seems to be catching on—green is the new yellow. 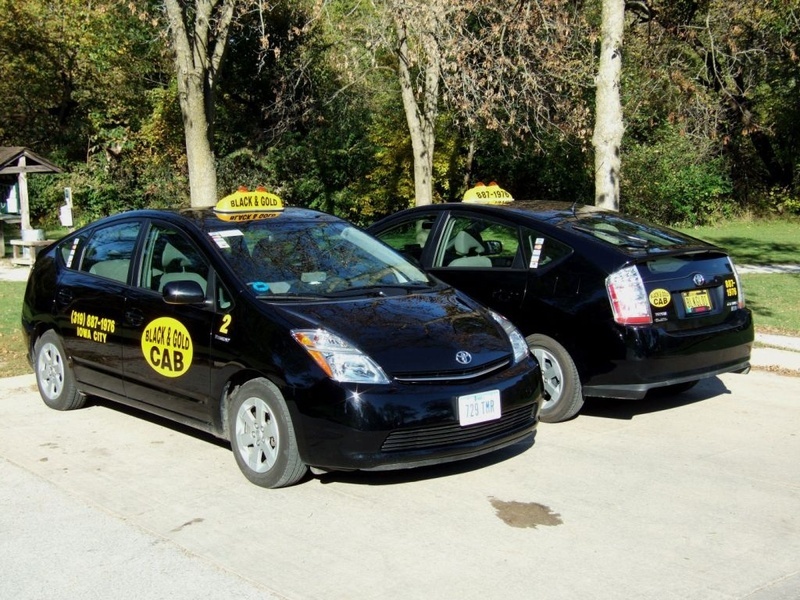 Taxis in many major cities are becoming more environmentally friendly by switching to low-emission vehicles. By taking this leap, taxis, which are the ultimate offenders of continuous stop-and-go traffic, will vastly decrease their contribution of carbon emissions on the road. After reading a post from our friends at Inhabitat about Boston taxis recently taking the initiative to go green, we decided to see what other cities were making the same effort to decrease their carbon tire track. What we found was a spread of cities and individuals offering green transportation to those in need, including locals and travelers abroad. Arlington, VA - Introduced to the greater Washington area as “the first carbon-neutral [taxi] fleet in the U.S.” earlier this year, EnviroCab offers only environmentally friendly vehicles to its customers. They even go the extra mile by offsetting their carbon emissions and then some in an effort to be the first carbon-negative taxi service in the world. Boston - A major part of the overall plan to improve the city’s taxi system, Boston Mayor Thomas Menino calls for all taxis to be replaced by hybrids within seven years. Along with these efforts to go green, the plan also requires drivers to install credit card machines and bars the wearing of sweatpants and T-shirts on the job (which isn't exactly green, but hey, it's something). Chicago - Here, the transition to hybrids started with the help of a little green friend, Kermit the Frog. In an energy campaign launched by Ford Motor Company, a fleet of Ford Escape Hybrids, featuring the car's spokesfrog Kermit, are providing green taxi services in Chicago. We're thrilled to be a part of the new National Geographic Traveler website, and are excited to show you around our new digs. So head on over and check it out! Rainer Jenss and his family are on an around-the-world trip, and they're blogging about their experiences for us here at Intelligent Travel. You can keep up with the Jensses by bookmarking their posts and following the boys' Global Bros blog at National Geographic Kids. Week Three of our immersion into the world of Japanese culture brought us to Tokyo, the city that fueled my longing to return to this country after my first visit there some fifteen years ago. Since we had gotten acclimatized to city life from our time in Kyoto (not to mention Beijing and Shanghai the previous month), dealing with crowded train stations, especially the subway platforms of Shinjuku, which are the city’s busiest, didn’t faze us. Besides, the boys were too fixated on the various types of trains that shuttled us around the country to even notice. So besides zipping around on the Japan Railways, we aimed to find some activities that would strike a balance between kid-friendly and culturally enriching. Sorry guys, we didn’t come all this way to go to Tokyo Disney! Fortunately, this proved to be far less challenging than I originally thought because Tyler and Stefan were becoming fond of Japan. Furthermore, they enjoyed learning the basic phrases and didn’t seem bothered at all by the language barrier. This proved quite helpful as we headed out on our first day trip in Tokyo. But while seeking cultural experiences, we had to admit that there’s only so much that will hold the interest of an eight- and eleven-year-old. If Carol and I had been here by ourselves, we surely would have attended the Kabuki Theatre to take in one of the oldest and most traditional Japanese art forms. Instead, we found ourselves in a place called Kidzania, a child-sized replica of a real city that enables kids to learn about the adult world, and the value of money and work, by experiencing various professions. So what could possibly be so culturally relevant about that? 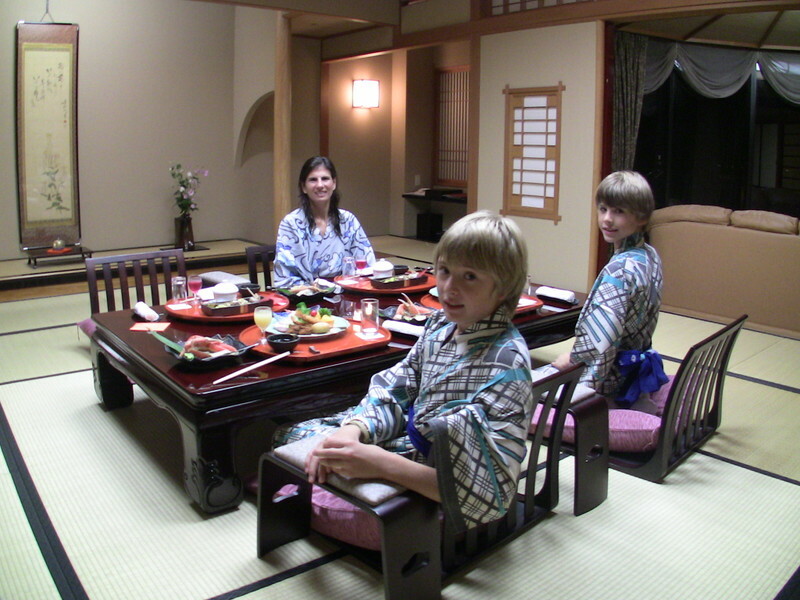 For starters, I must admit that I was growing rather fatigued from continuously asking the kids to mind their manners since we arrived in Japan. After all, this is a country that from early childhood emphasizes discipline and restraint, and nowhere was this more evident than in a children’s entertainment center. With all due respect to American families back home, Kidzania confirmed that the Japanese by-and-large have their children under control and very well behaved, which only added to my anxiety of scrutinizing our children's every move. Nevertheless, Carol and I were amazed at how well they adapted to the culture. 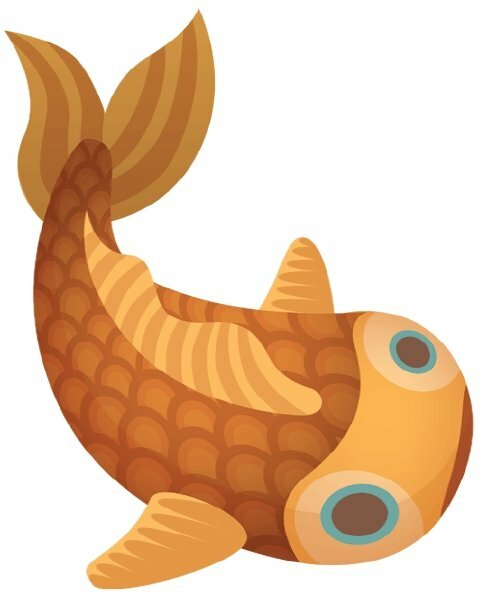 Kids are certainly known for their resilience, but I never would have imagined that they both would be eating several varieties of raw fish, pickled vegetables, soups and noodle dishes by the time we left. Stefan has even gone so far as to say he’d rather eat a meal with chopsticks than a knife and fork. And Tyler was completely serious when he requested a heated toilet seat for his next birthday. Don't worry, this is a good thing – at long last, we're becoming a much bigger part of the National Geographic Traveler website, which will unveil its brilliant new design tomorrow as well. Our move will involve a new URL, and eventually, we'll bid this current one goodbye. But we're planning on transferring all of our content to the new site, and adding some additional features over time which will make it much easier to navigate, and more fun to use. So we ask that you be patient, give us feedback, and get ready to travel with us. We're excited to have you come along. It has been a while since I last left town, but this weekend has me moving a bit around the country. So since I've loved having you steer me around this summer, I'm again taking suggestions on where I should visit while I'm on the road. I'm traveling to Minneapolis for a wedding on Friday, and I'm looking forward to following a few of Andrew Nelson's tips for the Twin Cities on Saturday. What other Minnesota highlights should make it on my list? Come Sunday, I'll be heading to Santa Barbara, California for a conference. Our past articles have called the area sensuous and akin to the American Riviera, but I'm eager to hear your recommendations on what I shouldn't miss. And remember, I'm always up for meeting our readers, so please let me know if you'd like to play host (as Pam did so well back in Seattle). Thanks in advance for your suggestions! 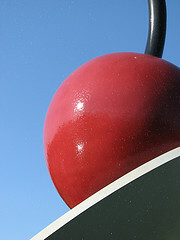 Photo: A close up view of the Spoonbridge and Cherry, a local favorite in the Minneapolis Sculpture Garden. By GasBo79 via the Intelligent Travel Flickr pool. 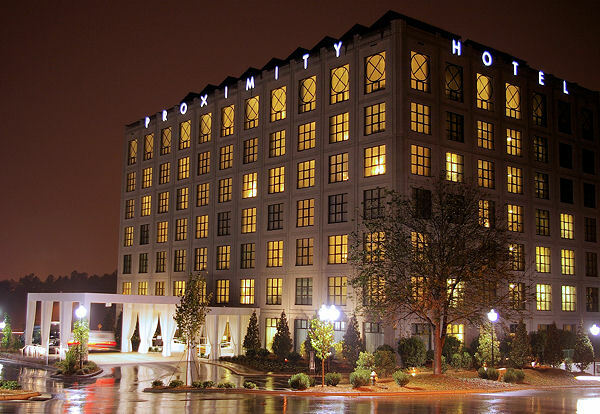 A few months ago, we ran this fantastic video, produced by former researcher Alison Ogden and NG Channel Advanced Media Producer Chris Keener about the opening of the Proximity Hotel in Greensboro, North Carolina. At the time, Alison interviewed hotel manager Dennis Quaintance about the steps he was taking to make the hotel achieve LEED platinum status for sustainable building design (recycled building materials, solar panels, and even waterless urinals were among the more inspired design elements). So we were pleased to hear that the U.S. Green Building Council recently awarded the platinum rating to the hotel, making it one of the greenest buildings in the country, and the first building in the hospitality industry to receive the platinum status. This coincides well with a recent TripAdvisor survey, which found that Americans are increasingly interested in choosing green lodging options (and sustainable travel in general, in fact). So message to hotels: it's a smart idea to go green, let's see more of it soon.